Self-service beer machines are yet another thing blockchain technology could make possible. When you hear the phrase “blockchain,” your instinct may be to change the conversation before you’re stuck listening to unsolicited Bitcoin investment advice. But though blockchain makes cryptocurrencies possible, the technology behind it has plenty of other potential applications as well… like selling you beer. In a partnership between identity verification platform Civic, vending machine company Innovative Vending Solutions, and brewing giant Anheuser-Busch, the world’s first “crypto beer” vending machine was revealed at today’s Consensus 2018 blockchain technology summit. Using the buzzworthy tech, this new machine can give drinkers a buzz by verifying their age to unlock a free can of Budweiser. Currently, self-dispensing beer machines—primarily seen as pour-your-own-beer draft lines—require a traditional identification check at some point in the process either at the point of entry or the point of sale. 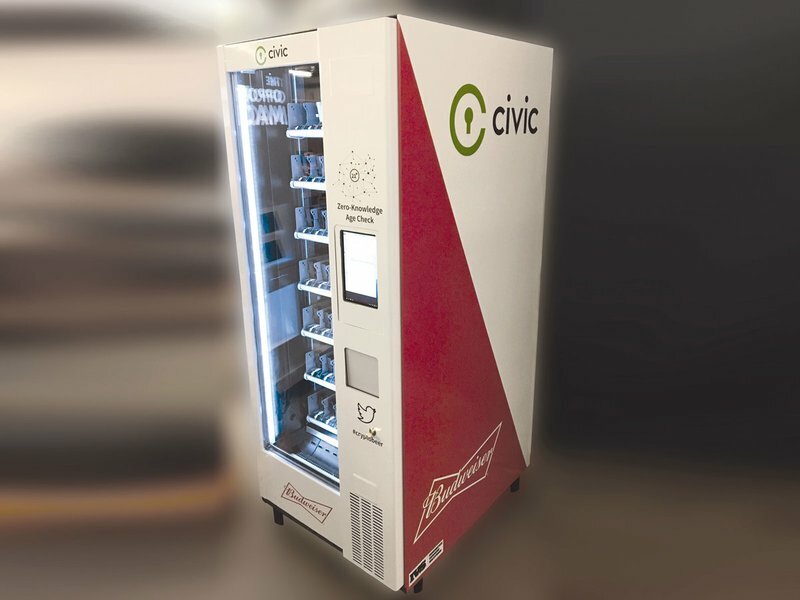 Civic’s phone-based verification system could theoretically automate that process and remove the need for “gate-keepers” (beyond having someone around to deal with any problems that arise), but for now Civic says it has no plans to commercialize this beer vending machine. “It is a demonstration to show a practical way of bringing crypto tech to a mainstream audience,” a rep told us. Turns out the people over at Civic aren’t just masters of blockchain technology; they’re also masters of getting people’s hopes up!